Karbon is built upon the feedback from customers like yourself. If you have an idea or feature that you think could make Karbon better, we'd love to hear from you. You can choose this option from Help & Feedback in your main menu. 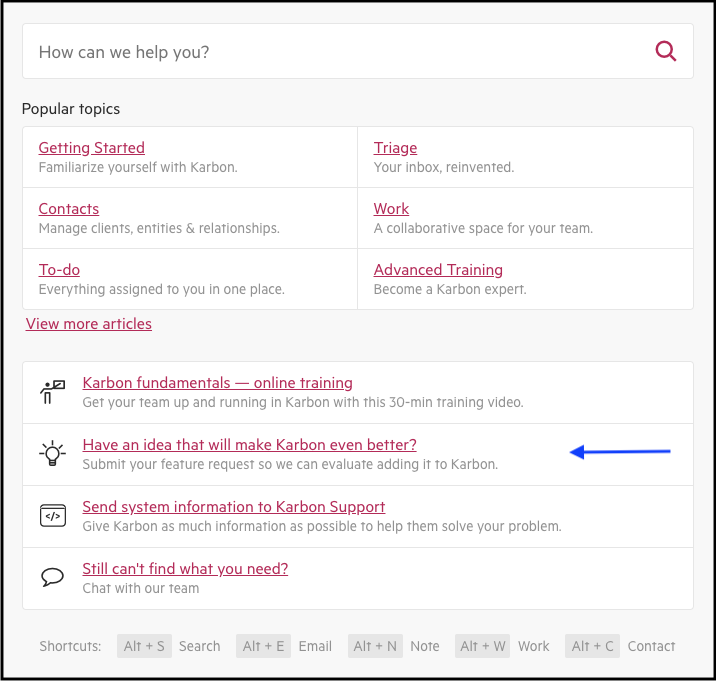 From the drop-down menu, select the area of Karbon that your idea relates to, and then describe your idea in detail.